Everybody, whether child or adult, falls in love with Jordanian cuisine from the very first bite. Choose our Chef’s Tour, and you’ll be privy to the most closely-guarded secrets of the locals themselves, allowing you to bring all of the mouth-watering tastes of the country back to your kitchen at home. 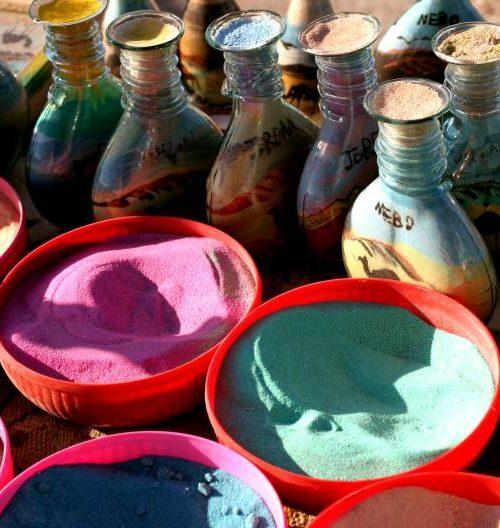 You’ll wander the markets of Amman and shop for ingredients with experienced chefs, harvest fruits and herbs with local Jordanians, and sit around campfires cooking up delicious meats and breads with Bedouin families as you swap recipes and stories under a perfect starry sky. Enjoy an experience that will last a lifetime, and wow your guests with your new skills at your next dinner party back home. At approximately 07.30 am you will leave your hotel in Amman and drive to Madaba to visit the St. George Church, with its famous mosaic map. From there you’ll continue to Mt. Nebo, where Moses viewed the Promised Land. You’ll then continue to Ghor al Mazra’a to participate in Bandoora day. Bandoora is the Arabic word for Tomato. You’ll help the locals with harvesting the tomatoes from the farms, and then enjoy lunch with the locals. Together you’ll prepare galayah, a local dish with tomatoes as one of the main ingredients. Time permitting, you will also have a chance to learn how to make Kohol (from olive oil) or learn the traditional way of wool spinning, basket weaving etc. 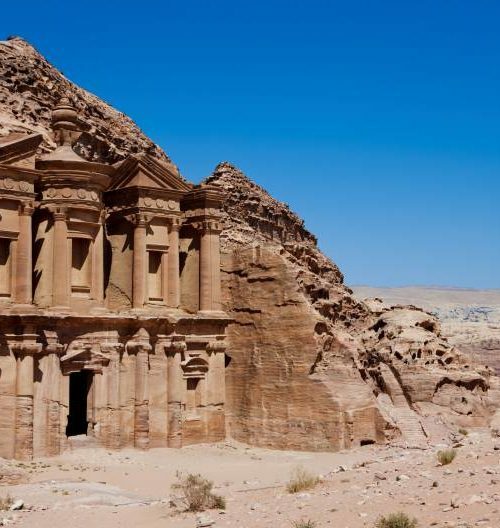 You’ll then be transferred to Petra for dinner and an overnight stay at 3*Petra Palace Hotel including breakfast. 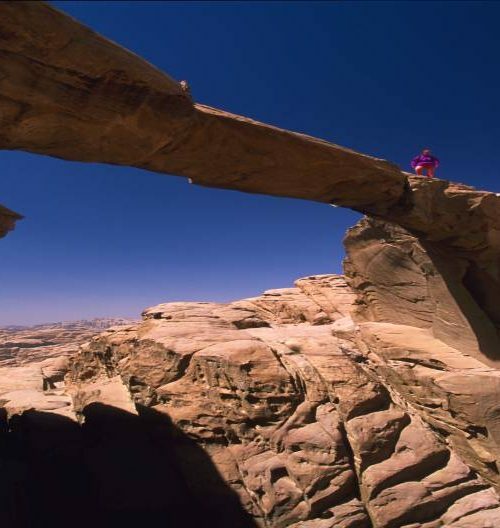 Here you’ll get an introduction to what to expect during the coming days of cooking in Petra! You’ll have a full day to explore one of the seven wonders of the world. 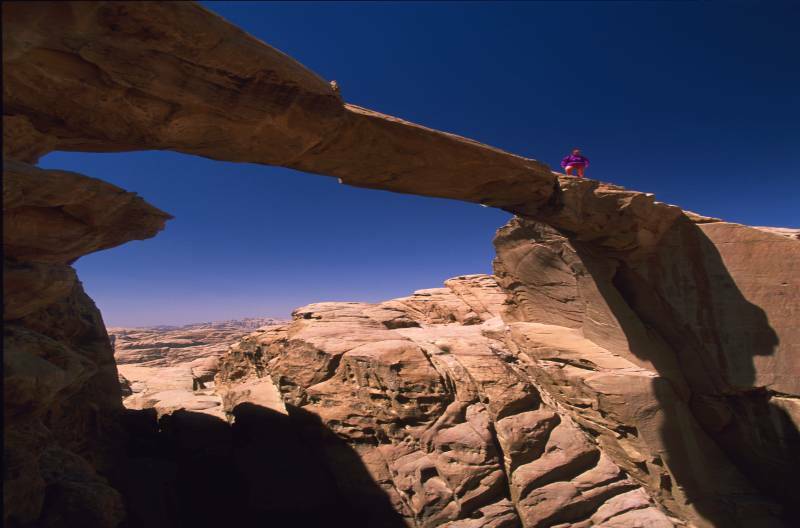 After your visit to the Siq, Treasury, Street of Facades, Theatre and Colonnaded Street you will still have time to see the Monastery and/or the High Place of Sacrifice. It’s a lot of climbing, but worth it for the views! 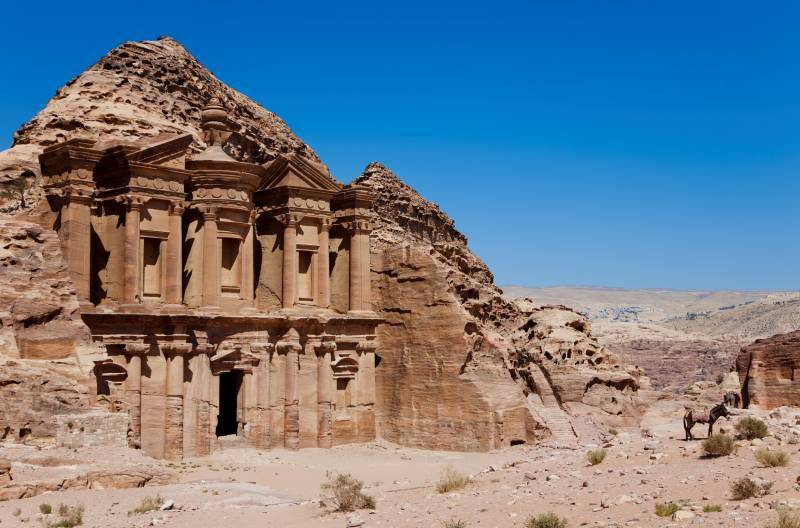 You’ll have a free morning to visit Petra. If you did not have the chance to visit the High Place of Sacrifice and/or the Monastery on the previous day, then now is your chance! You could also think about visiting the Royal Tombs. 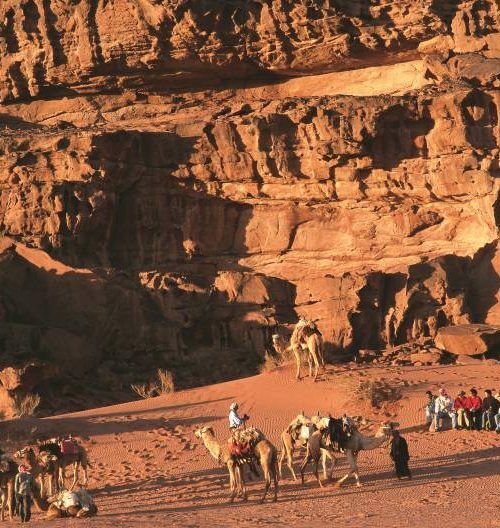 You’ll drive to Wadi Rum for a half-day jeep tour inside the protected area. 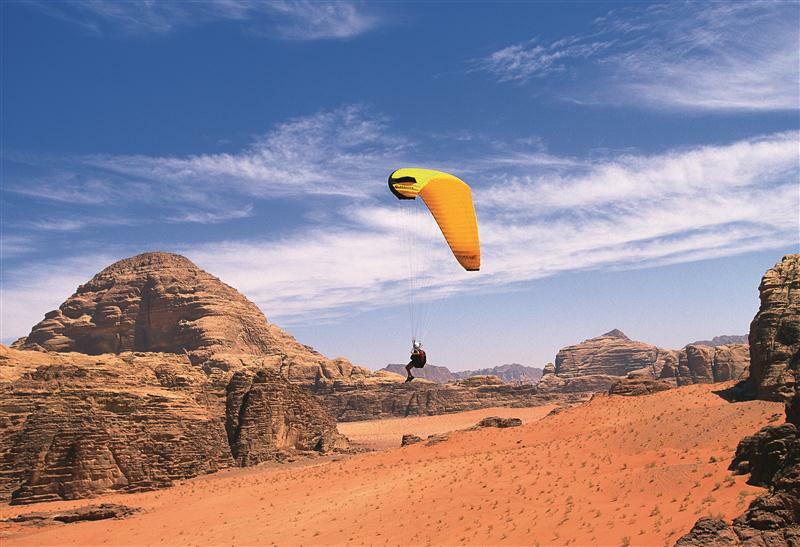 Wadi Rum is famous for its red sand and beautiful rock formations. 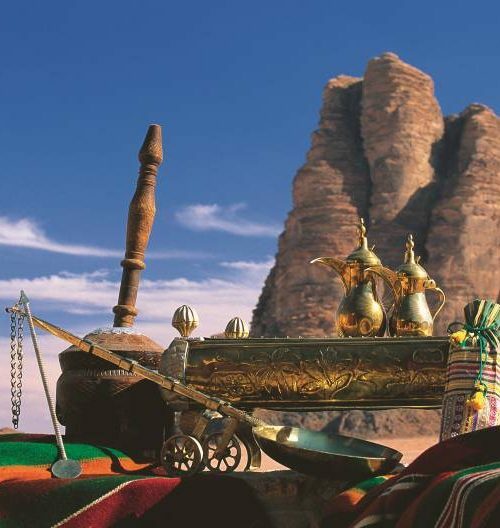 Upon arrival you may decide if you would like to include a camel ride or start directly with your jeep tour. Lunch will be freshly prepared by your driver – and of course you can give him a hand! You’ll enjoy preparing a chicken barbeque together, and end your jeep tour at a campsite located in the middle of the desert. The camp has facilities and private tents. 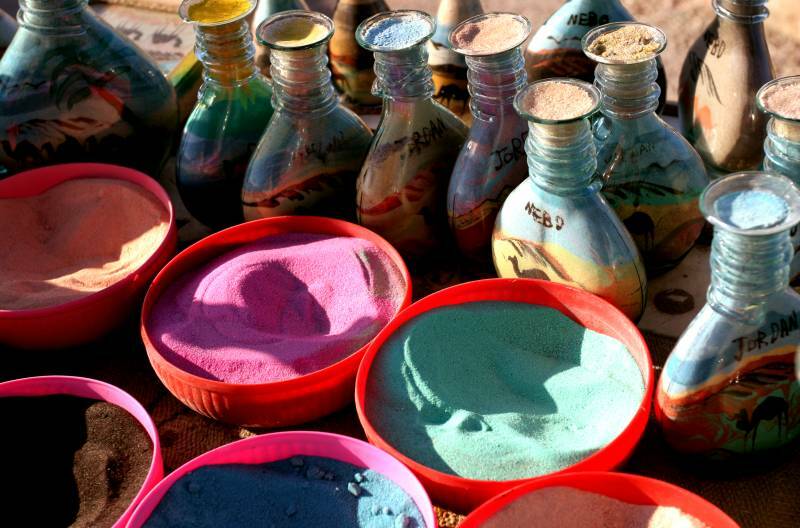 In the evening you will learn how prepare Zarb, a dish which is cooked in the ground. 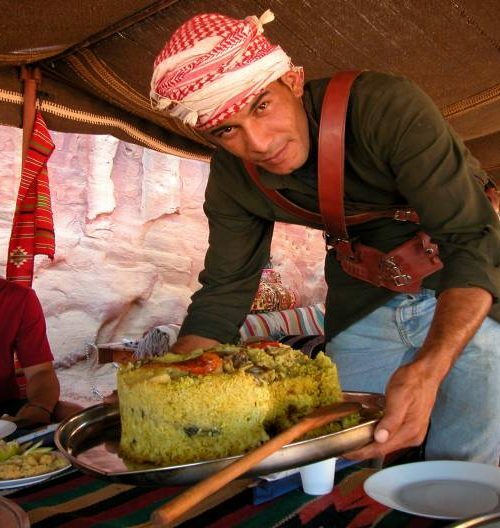 You’ll learn how to prepare this special dish with the local Bedouins of Wadi Rum. 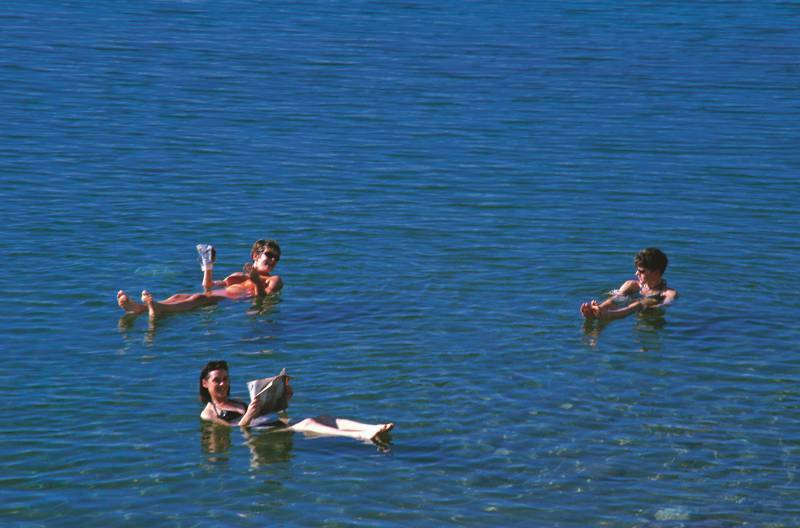 After breakfast you’ll drive to the Dead Sea, the lowest point on the earth’s surface. 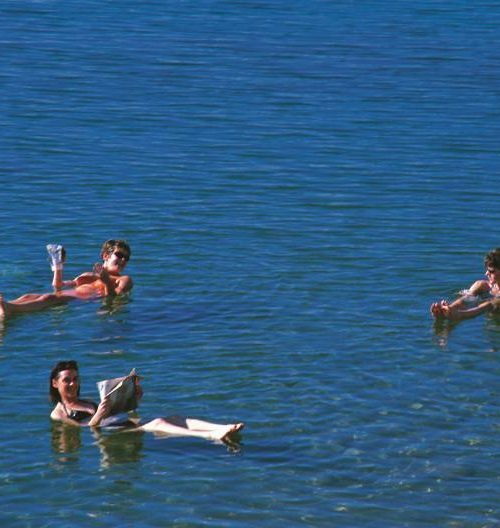 Today is all about relaxing, so float in the salty waters or try out the famous healing mud. There is no cooking course included for today as you have deserved a day to unwind after all the cooking you have done! Stay overnight at the 3* Ramada Hotel. You’ll be transferred to the airport in Amman for your departure. You’ll need to leave the hotel 3 hours in advance of your departure time. 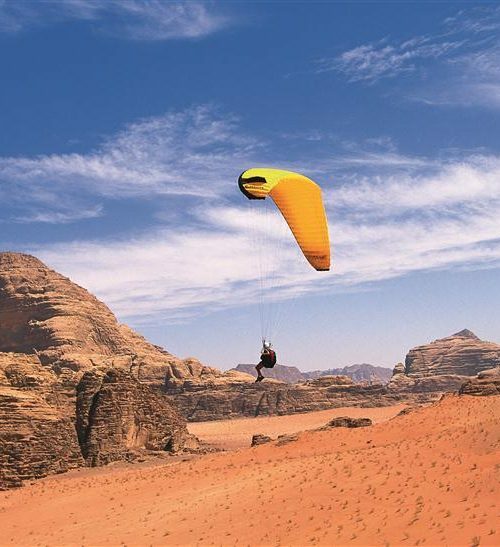 This is the end of your tour of Jordan: Ahlan wa Sahlan! 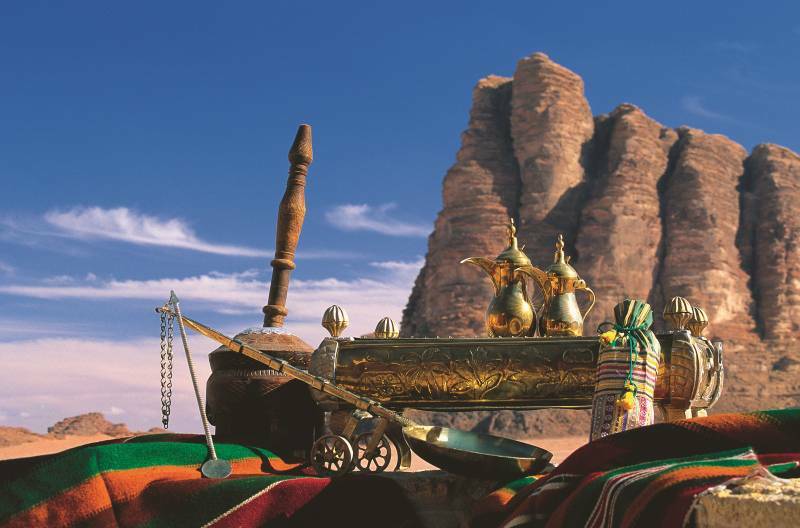 All hotel accommodations (2 nights Amman, 3 nights Petra, 1 night Wadi Rum, 1 night Dead Sea ) based on double/ twin rooms, including breakfast and all government taxes and service charges. All entry/user fee tickets for the sights mentioned throughout the program. All meals as noted in the program are included. Afternoon visit to the vegetable market in Amman with the chef of Beit Sitti on day 2. Beit Sitti cooking course including Tabbouleh, Humus, Maqloubeh and a desert on day 2. And a Shrak Bread maker to enjoy fresh bread during dinner. Welcome word in your hotel in Petra on day 3 with a short introduction for the coming days in Petra. Dinner at 3* Petra Palace Hotel in Petra on day 3. Learning how to make Taboon Bread and Khobez Fattah with locals on the evening of day 4. Visit to the local butcher to buy the meat needed for the Mansaf tonight, meat costs included on day 5. Seeing how to milk the sheep on day 5. Learning how to make Mansaf on the evening of day 5. 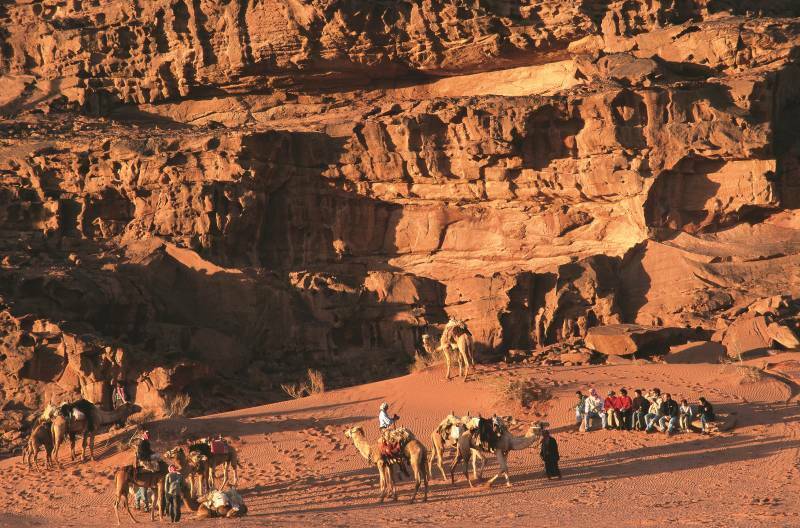 Half-day jeep tour inside Wadi Rum protected area with local Bedouin English-speaking drivers. Learning how to prepare a barbeque lunch inside Wadi Rum Desert with local Bedouins. 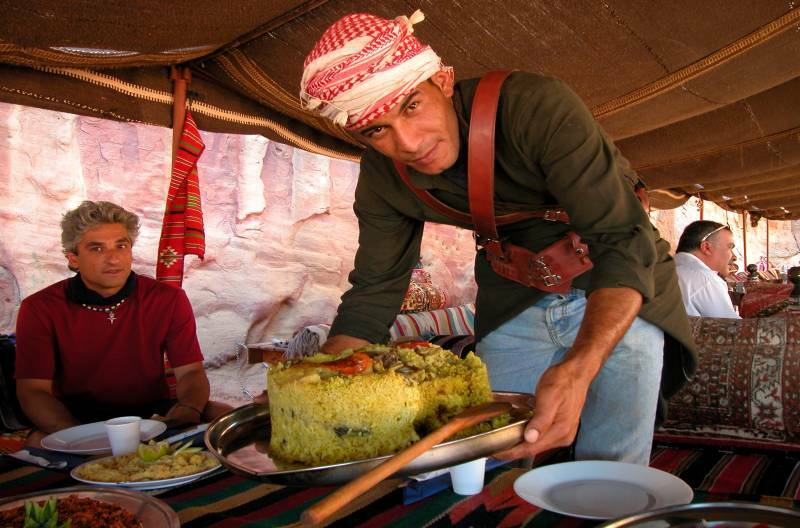 Learning how to prepare a Zarb dinner at the camp inside Wadi Rum Desert with local Bedouins. All ingredients needed for the meals that you will learn how to prepare during the tour. All prices correct at the time of writing. Give us a call or email us at jordan@fleewinter.com to discuss your requirements and get a confirmed price.